Need activity ideas and themed products for your program each month? 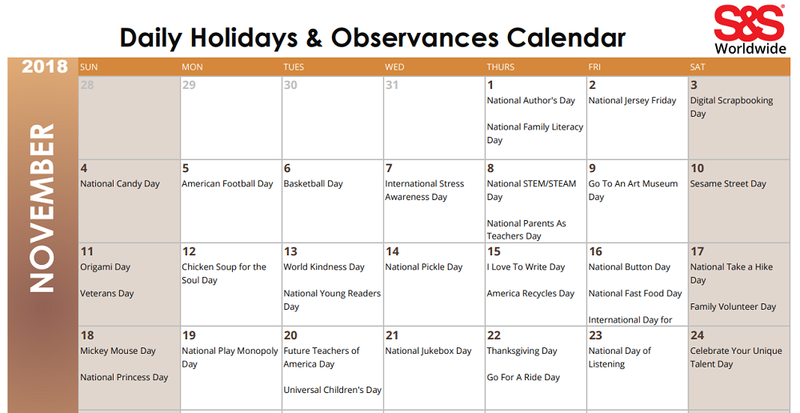 Download and print our daily holidays and observances calendar! See the link below for our December 2018 Calendar. Refer to the calendar when you need inspiration, whether you are planning activities for the entire month for each holiday, or you need last minute ideas. Be sure to visit our Daily Holidays page to find related items that can help you celebrate each observance. 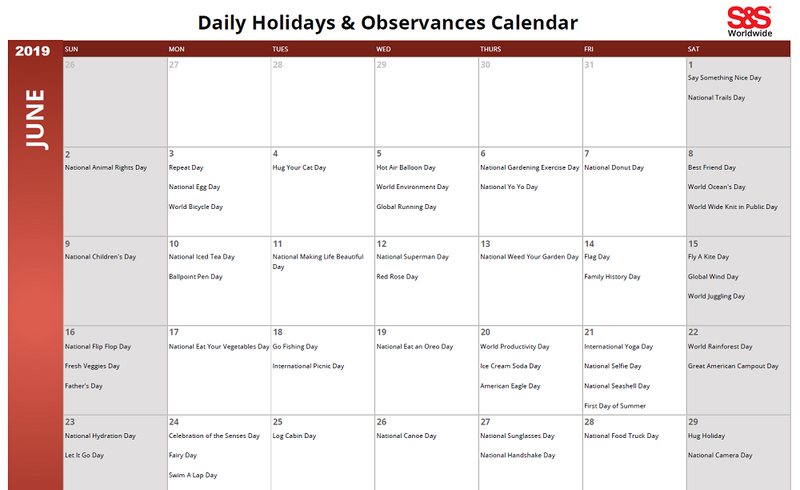 We have listed the daily holidays or observances that fall on each day of the month. Some days have multiple holidays, so you can choose to focus on just one, plan an activity for each one, or combine them if possible. For example, December 21st is National Short Story Day and also the First Day of Winter. If you are a teacher, you can have students write short stories about the winter season, including some of their favorite memories. Then choose a few volunteers to share with the class. You can also combine art and seasonal writing with this Torn Paper Art activity. You may choose to use the calendar to plan your activities each month and develop themes around each of the days or a combination of days. The second and third week full weeks of December include several historical observances: Nobel Prize Day, Human Rights Day, Bill of Rights Day, Boston Tea Party Day, and Wright Brother’s Day. Plan a History Week for your program with lesson plans that include fun facts and information about each important part of history. If you are just looking for some filler ideas or last minute ideas, refer to the calendar on any particular day and come up with a quick lesson or activity related to the daily holiday or observance. Some of these can even be used for brain breaks. 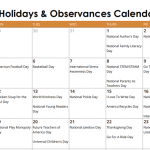 On pages 2 & 3, you will find an activity suggestion for each holiday and observance under the Activity Ideas section. 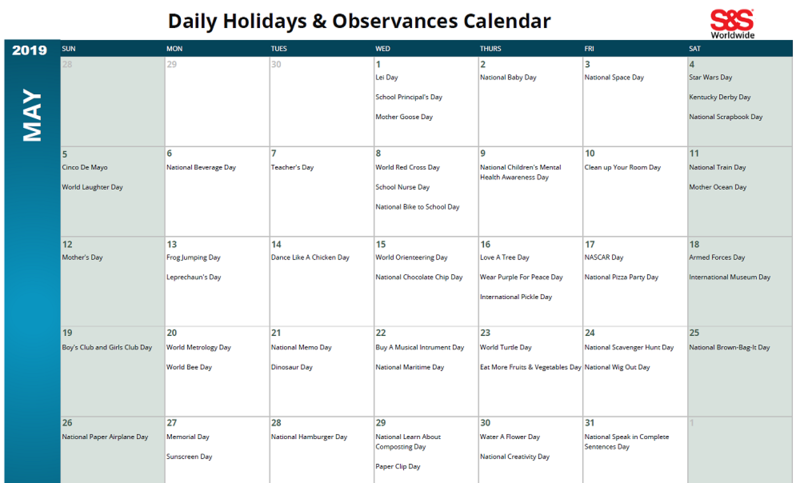 If you see a URL under the Activity Ideas section, that means the observance is listed on our Daily Holidays page! Visit that link (PDF includes clickable links) to find products and items that would work great for an activity. We’ve also shared some specific ideas as a guide. For example, Pretend to Be a Time Traveler Day is a great time to encourage creativity and plan a fun Makerspace and STEM activity. Provide your group with cardboard boxes, rubber bands, paper, tape, and other craft materials and have them create their own time machine. Learn more about Makerspace tools here. On National App Day, schedule activities that allow creations to come to life, like the StikBot™ Studio Pro pack. We had so much fun making the stop-motion YMCA space dance video below. Use the app to record the Stikbot motions on a green screen and add a background! 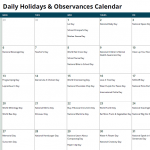 Our printable calendars also include weekly and monthly observances. For the month of December, there is one weekly observance and five monthly holidays. We have shared a few helpful links and related ideas below. We would love your feedback on how you plan to use the calendar for your program, and if you would like to see any changes in the template. Thanks everyone! 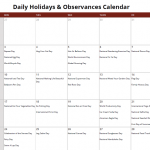 This entry was posted in Daily Holidays & Observances Printable Calendar, Holiday & Seasonal and tagged Daily Holiday Calendar, daily holidays and observances, december activity ideas, December calendar, December holidays and observances, December printable calendar by S&S Worldwide. Bookmark the permalink.